I have take a very straight forward and basic approach to marriage counseling. I focus on the strengths of a marriage instead of the weaknesses. As we work together, we will focus on improving productive communication. What about your relationship do you love? What makes you crazy? What makes you sad? I will help you learn to open up to your spouse with confidence and listen without anxiety. 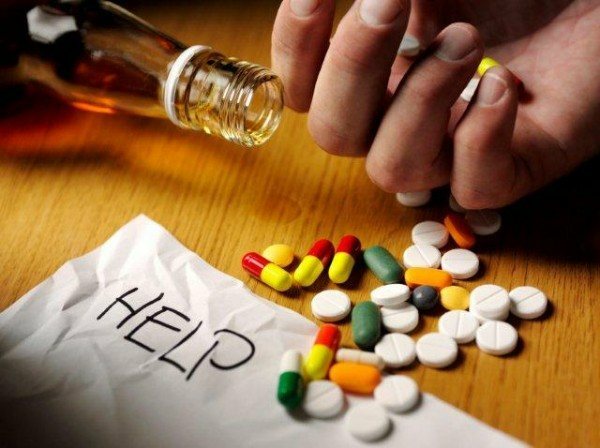 Out of all the various responsibilities I have as a therapist in Oceanside, substance addiction counseling, alcohol counseling or codependency counseling are several of the most significant. When the anguish of a substance or process addiction weighs on a family’s heart, it is all too common to see broken relationships, the potential for divorce, and increasing depression. Other challenges can include problems with work or school, legal issues, varying degrees of psychological difficulties and a myriad of health problems. Unfortunately, addictions can just as easily show up in our teenagers as in our spouse or our grandfather. This equal opportunity disorder happily works with all races, genders, professions, all socio-economic classes, geographic locations and religions. Whether alcohol counseling or drug addiction counseling, my job is to help you deal with it. I also help with behavioral (process) addictions in addition to drug and alcohol addiction. Here are some of the addiction issues I specialize in treating. When faced with challenges in life, it is always important to choose our close friends, family, spiritual guides and others for help. If you find yourself in a circumstance where you do not feel comfortable speaking with your wife, family or loved ones, or have done so with no change, seeking the assistance of an expert could be the best decision. Individual psychotherapy & counseling may provide you the chance to create brand-new actions, gain understanding of the best ways to develop healthy and balanced boundaries, enhance partnerships, connect better and begin the process of living life to the fullest. As a psychotherapist working in Oceanside, it’s my goal to help people improve their emotional well-being and help them discover the tools they need to live a fulfilling life with strong interpersonal relationships. If you’re struggling with any of life’s challenges, large or small, or if you’d just like to talk with someone, I’d be be excited to start a discussion with you. Call today to schedule an appointment. Interventions are a powerful, non-confrontational strategy that aids entire families who are battling with addiction, alcoholism, and/or codependency. Interventions are coordinated by a licensed therapist who can assure the privacy of the patient and the absolute highest level of care. This unique approach allows the whole family to experience the process together, restoring optimism and rebuilding their lives together. Learn how a properly designed intervention is an incredibly respectful and caring process that truly strengthens families. My main offices are centrally located in Solana Beach and less than a 15 minute drive from nearly all North San Diego cities, including Oceanside Schedule an appointment today. Oceanside is fun coastal town at the north end of San Diego county, bordering Camp Pendleton, the largest Marine Corps base in California which covers over 125,000 acres and 17 miles of coastline. One of the primary attractions in Oceanside is the downtown pier area. The Oceanside pier was first built in 1888. The current pier is the 6 iteration of this great landmark. The Oceanside harbor has a bunch of great shops and places to eat including Rockin’ Baja Lobster and Harbor Fish & Chips. If you’re a fan of craft beers, Oceanside has some of the best brew pubs in all of San Diego. Be sure to try out the Stone Company Store, Bagby’s Brewing, Breakwater Brewing Co. and The Local Tap House (LTH). One of the nicest parts of Oceanside is that it’s close to nearly all of the big San Diego attractions including the San Diego Zoo/Safari Park, LegoLand, and SeaWorld. Dr. Rafe Edward Trickey, Jr.